As a Texas girl, I like everything big. Big hair, big diamonds... big personality. It's hard getting a Texas sized blow out here in New York where every one wants stick straight hair. Styling hair with a lot of volume, swing and bounce can be challenging, that is why I just about did a hoedown when I saw this detachable brush set from Scalpmaster. This set will create a perfect blow-out because it has a detachable barrel so the brushes can stay in the hair for a big, full "set". Simply connect a brush barrel to the handle, section hair, roll into barrel, secure with clamp and release handle, let is stay for 10-15 minutes until cool then gentle release for bounce. Hit that hair with some setting spray and viola... Miss Texas hair! Create a perfect blow-out every time with this multi-function brush set. Detachable brush heads can be used as rollers to hold hair in place. I would retail this to all my Southern Belle beauties that like big hair styles that last a few days! Also great for salon use. I don't know if it's age or 20 years of bleaching, but my hair feels like hay and breaks off constantly. I used to enjoy theses AMAZING steam and warm oil treatments by Wella, but the system was discontinued years ago. Last week, I pulled out the Salon Masters Hair Steamer from our training room here at Pure Spa Direct and gave myself a 20 minute deep conditioning treatment mask that completely transformed my hair! Even 2 shampoos and 5 days later! In a mixing bowl, I combined of Wella Brilliance Treatment for Fine Hair and five pumps of Elixir Ultime by Kerastase. I mixed well and them applied to my damp hair with a dye brush, making sure I covered every hair root to end. Put on a processing cap and then sat under the steam for 20 minutes. so amazing... I have not felt my hair so smooth in years! My blowouts are smooth with no trace of frizz, and my style is lasting. And for the first time in years my hair feels thick and luxurious. I think that the combination of products with steam is the key to the great results. I had previously tried in salon treatments like Kerastase oleo single dose treatments, L'Oreal Power Dose treatments, Goldwell treatments... you name it. NOTHING worked like the aforementioned ritual for my bleach blonde hair. 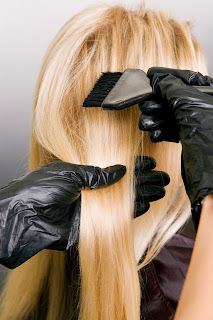 Salons, offer clients an essential treatment service like this all year long. I mention this because the salon I go to on Long Island stops promoting treatments after summer - (silly). - Steam optimum hydration of hair. It adds moisture to even dry hair and helps prevent breakage. - Adding water (moisture) adds strength and elasticity to your hair. Having a moisture balance means no breakage, brittleness, or breakage. - Steam is said to be more beneficial for the penetration of essential treatment ingredients into the hair follicle. These are just a few of the reasons ... there are countless benefits listed on industry websites explaining the benefits for steam over dry heat... even for processing color. Nail salons can really improve the way clients perceive their business by cleaning up their space, and showing off their skills. Fall is the perfect time to re-do your Nail Tip Displays, and we have them here at PureSpa.com! Dump those old, dusty nail art models that turn off clients, and show off new Fall 2013 colors and trends with these new acrylic tip displays. 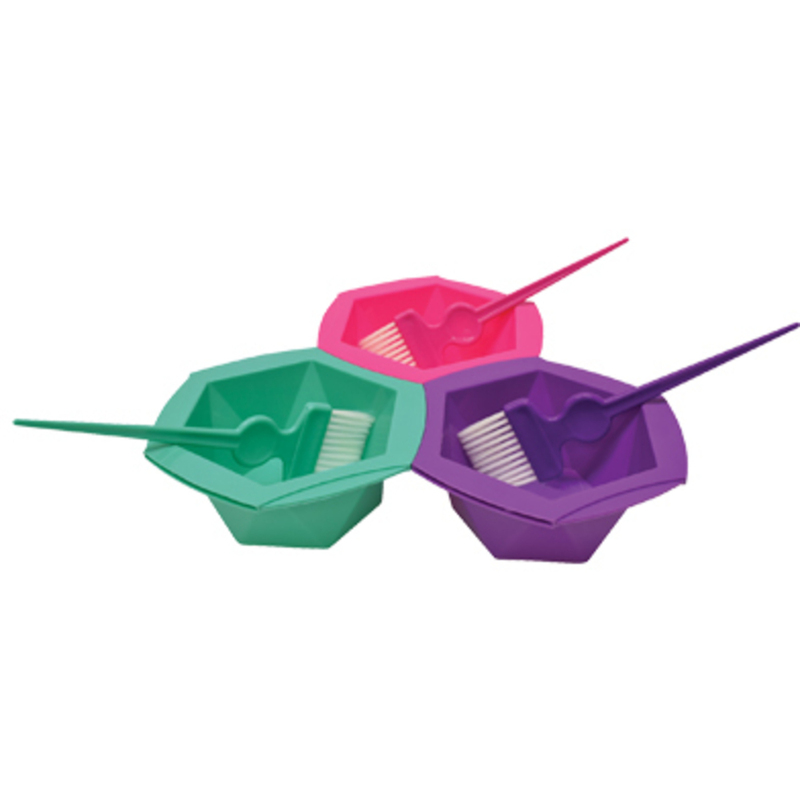 This is perfect for displaying nail art designs and fun, new colors. It includes 64 nail tips - so you can show off a little bit of everything you have to offer clients. For under $12, you can afford 3 or 4 and have them placed around the salon. I would even have them organized by nudes, metallics, reds, and dark, vampy colors. So much fun! colors from Color Club's Halo Hue's Collection. Color Club NAILED IT with this collection because both the intensity and the smoothness are exceptional in these polishes... and all the colors create high flash, intense multi-dimensional flair, and serious holographic effects that keep people asking, "Where did you get your manicure!?". Even mature clients love these hues for an eye-popping "power nail". The power nail is when the ring finer of each hand is painted a different color. My 65 year old mom is obsessed with crazy "power nail" colors. She says it keeps her feeling "hip & young". 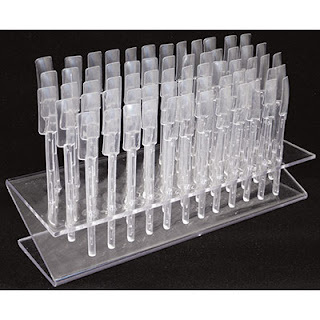 Stay on trend and add the 36 piece display to your salon or spa today! Just Added! This Cuccio Naturale Rotating Butter Babies Carousel is an EASY way to TURN a profit! 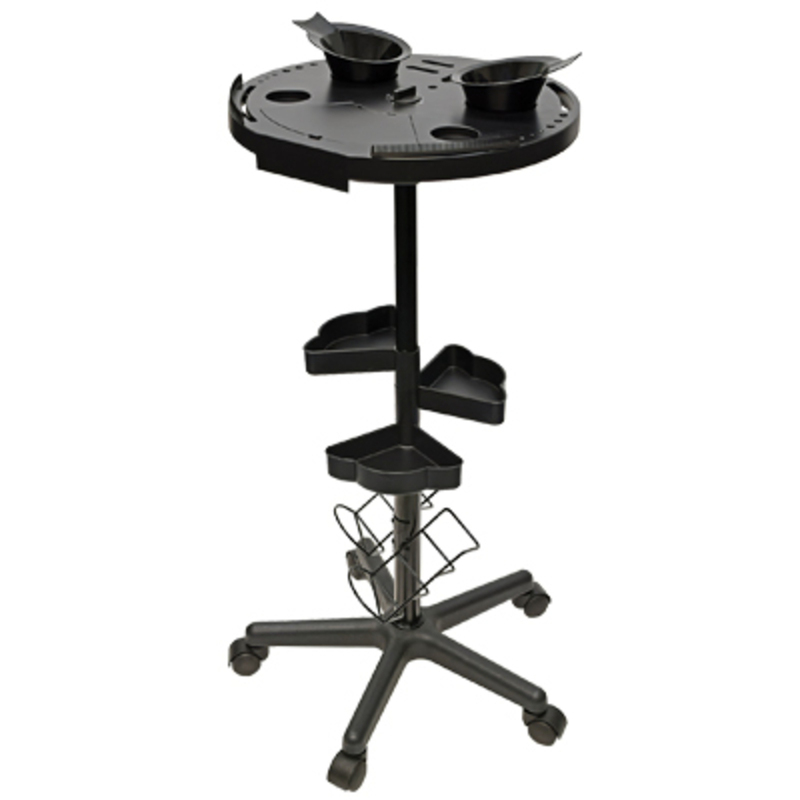 Designed to utilize minimal counter space while maximizing your return-on-investment! 9” x 9” Footprint. Carousel contains a total of 36 - 1.5 oz. butter babies. 6 in each scent. Size matters! At only 1.5 oz. these are Travel Safe sizes that can join clients in their carry-on without any objections from the TSA. These non-oily body butters are expertly formulated with 24 hour time released emollients for all day skin hydration. Baby Butters by Cuccio are only available in the carousel or towers. 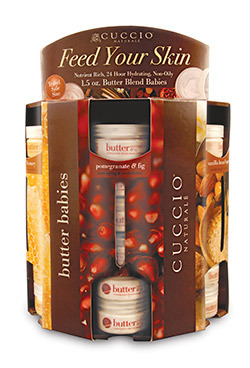 Boost your retail sales by featuring the Butter Babies Carousel on your front counter of your salon, day spa, wellness center or nail spa. Suggested retail price for each butter is around $9.99. What if your locks could remember how to be beautiful bouncy and frizz-free for 3 whole days?? Well the new Curvaceous Line by Redken promises to do just that! Launching in October 2012, this new collection will feature an exclusive new Interlock Protein Network (IPN) technology along with Curl Memory Complex to bring out the best of every ringlet curl! There are seven customize-able products that reduce frizz and define curls by 97 percent for up to three days. No matter how you style curly hair, this line sound great for creating style manageability shine and frizz control! But what about styling tools? PureSpa.com has every thing you need to curl, dry, cut and style hair. We have the LARGEST online, wholesale selection in NORTH AMERICA for Salon Industry professionals! 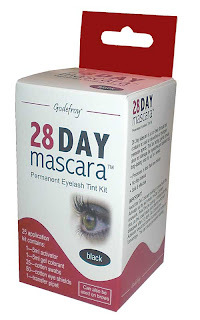 Mascara That Lasts 28 Days -- Yah, We've Got That! Looking for professional eyelash and eyebrow products for you professional salon needs? Look no further. Check out our latest addition, 28 Day Mascara – 25 Application Kit - Black by Godefroy. This exellent, quick process tint is a dream come true for your eyelash clientele with very light lashes, adding temporary tone and dimension in about 1 minute! No drip formula is safe and effective. If you are a licensed Esthetician looking for professional tinting products, please check out our large selection of tints and supplies at Pure Spa Direct by Clicking Here for Intensive Brand and be sure to visit out our incredible Lash & Brow store. We have everything you need to offer incredible professional services!